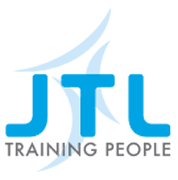 JTL is about to make an even bigger difference to pupils, parents, apprentices and local employers in Birmingham. How? By launching a brand new Training Centre just a short walk from the city centre. When recruited, Centre Manager, 2 X Technical Tutors, Receptionist, IT specialist. All visitors will be welcomed by receptionist when they arrive at front of building and then directed to their destination. Apprentices, Adult candidates, JTL staff. Food and Drink: On site canteen, within a few minutes walk universities with pubs and cafes and coffee shops. Banks, Building Societies and Cash Points: Within a few minutes walk. Post Office: Within 10 minutes walk in city centre. Fitness centres: Within 10 Minutes walk. Local facilities, other facilities in city centre. Shopping: Within 10 Minutes walk. Birmingham Airport – 20 mins drive. By Train: National rail links 10 minutes walk. o Parking on site for up to 25 cars. o Local taxis by phone form reception.